Sky News to continue pan-European distribution with SES Video. Luxembourg, September 2017: European viewers will be able to continue to follow the news on SKY News International at the prime orbital position of 19.2 degrees East following an extension agreement announced by SES. 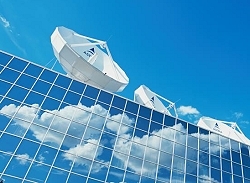 Under the agreement, SKY News International will utilise SES’s capacity on ASTRA 1N and related uplink services to broadcast its content to consumer and business premises across Europe. The prime orbital position of 19.2 degrees East is a key location for video distribution across Europe. With four satellites at this orbital slot, SES Video broadcasts more than 900 channels to 116 million TV households.